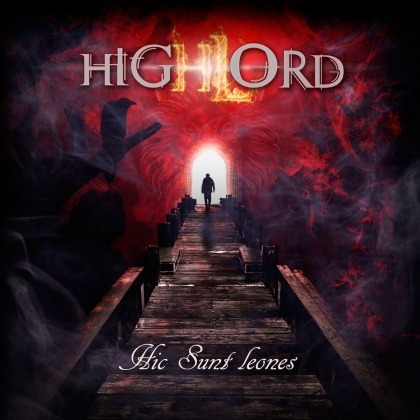 Highlord are one of Italy’s longest serving power metal bands, having burst into the scene at the height of the Italian power metal scene’s path to oversaturation in the wake of the wildly successful first few albums of bands such as Rhapsody or Labyrinth. After an inconsistent start up in the shape of Heir of Power in 1999, they had a string of pretty good albums with When the Aurora Falls… and Breath of Eternity respectively, but then as time went by forsook good parts of their Euro power metal past (double-bass, luscious keyboards and soaring melodies) for a more stripped down approach, taking out speed, flourishes and going for a more “mature” sound, now leading to their eighth full-length album Hic Sunt Leones. And after a somewhat rousing intro, the album…goes nowhere. 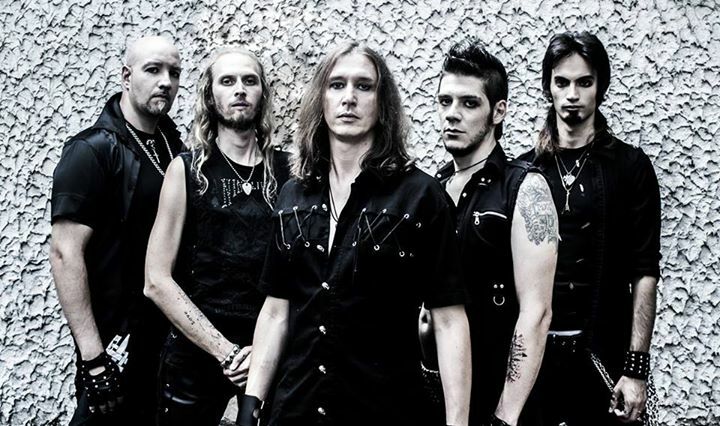 As far as 2016 goes to date, Hic Sunt Leones is the poster child of harmlessness in the power metal genre, being generally so inoffensive that it borders on being offensive. It is not that the album is bad, but suffers from so many problems that Highlord’s attempt to shoot themselves into Olympus might just as well be a shot in their foot. 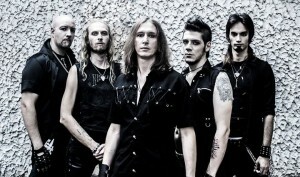 Many of the songs show the band’s willingness to shake things up and avoid being stuck in a rut, like the Italo metal of the late 90s and early 00s, but while they try to diversify their sound and even secured the guest voices of Apollo Papathanasio (Firewind, Spiritual Beggars and a whole bunch of other bands) and Linnéa Vikström (Therion), the Italians don’t get past mediocrity in the end. They use dynamics, keyboard support and harmonies, add some growls to a few of the songs (courtesy of drummer Luca Pellegrino, but where Hic Sunt Leones falls short is that the vocals, while not being bad, don’t have the expressiveness and inspiration the songs would require, it sounds as if they don’t quite get to where the melodies would need them to for the fullest effect, the riffs are not memorable and the songwriting overall, while being endeavoured, just doesn’t have the quality to succeed. In the end Hic Sunt Leones is an inoffensive album that will do an adequate job as background music, but will hardly be a staple in CD players worldwide. And as mentioned before, Highlord’s attack on the metal Olympus has been successfully stifled and leaves them struggling for relevance in 2016. This entry was posted in Power Metal, Reviews and tagged 2016, 5.5, firewind, italy, Labyrinth, Massacre Records, power metal, rhapsody, Spiritual Beggars, therion.